Home › Electronics › Silicon Devices Wireless Bluetooth Earbuds For Running - Sports Sweatproof Wo..
Silicon Devices Wireless Bluetooth Earbuds For Running - Sports Sweatproof Wo..
Comfort+ Wireless Running Earbuds are the latest generation design created to accompany you throughout every moment of the day with the latest Bluetooth 4.0 technology allowing you to listen to music from your cell phone from as far away as 30 ft.
HD Crystal Clear Sound - Comfort+ Wireless Earbuds provide incomparable sound quality, approximating the human ear, with a rich, dynamic soundstage that accentuates every detail of your music. Receive phone calls at any moment - Receive or cancel incoming calls at the click of a button on the main control switch even during vigorous activities without necessitating handling the phone itself. Perfect fit for all sizes and ages - Silicon Devices thought about everyone and designed Comfort+ Sport Earphones to be comfortably used in ears of any shape and size without sacrificing music quality. Made to be used with iPhone 6, 6 Plus 5 5c 5s 4, Android and most Bluetooth devices. Built for extreme activities - Comfort+ Workout Earphones are totally sweat proof and were developed to be used on all occasions, including during rigorous physical activities and impact sports. Why the Comfort+ Earphones was done just for you? 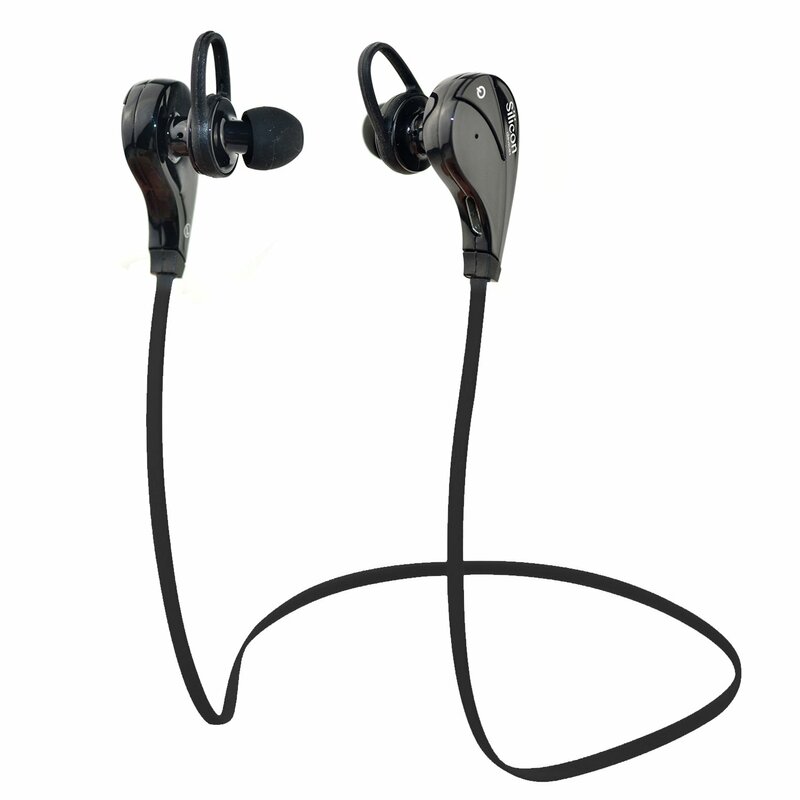 Exercise-proof SiliconDevicesÂ® Comfort+ Headphones are entirely equipped with the latest HD soundchip + Bluetooth 4.0 allowing you to enjoy your music at the Gym, Running,Walking, Biking, Gardening, Working out, Watching TV, Driving, Traveling byplane and more. Customizing your Comfort+ Earbuds have different size coversand ear locks for the best custom fit while still fitting tight enough so thatyou can move around without them falling off. Choose the combination that fitsyou most comfortably. Silicon DevicesÂ® Earphones are the most lightweightearphones on the market and you will almost forget you are wearing anything onyour head. Comfort+ Headphones with HD crystal clear sound combined with aperfect shape for anyone's head, small or large, can be positioned however youlike to enhance a fantastic listening experience. Silicon DevicesÂ® Comfort+Wireless Earbuds cancel white noise providing greater comfort and the highestquality music enjoyment. Comfort+ Earbuds are absolutely sweat-proof makingthem ideal for exercise. Comfort+ Earphones are light weight, comfortable andalmost imperceptible, allowing you to use them even during those toughexercises that require more concentration. Package contents: - SiliconDevicesÂ® Comfort+ Wireless Headphones - User manual - Micro USB charge cable -Black Carrying Case with soft inner cloth lining and a mesh pocket inside,designed to custom fit your headset - Ear buds (small, medium, large) -Outdoor sport Fit Stabilizer.